Throughout the past 15 years of my artwork, I have often found myself creating work based on a sense of either nostalgia for the past or imaginings of how the past affects each of us. In more recent years my works have focused on the point where identity and impermanence come together. 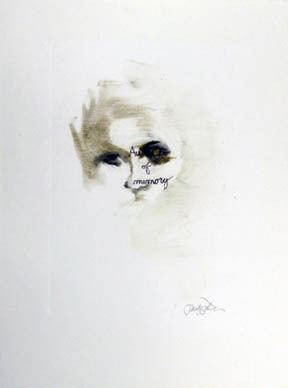 Looking back over these memory based art works, I see that they, too, are about identity. How our past, how our memories of things mitigate and modify our experiences and choices, this over time, is what becomes our identity. Who we are is an almost an alchemical brew of things partly based on the actual and partly based on the vagueness of the remembered. I hope these works will give you pause to consider this in your own lives.